THE BEST LOBSTER TRAP TREE YET! Art Haven’s David Brooks and Crew have created a masterpiece. 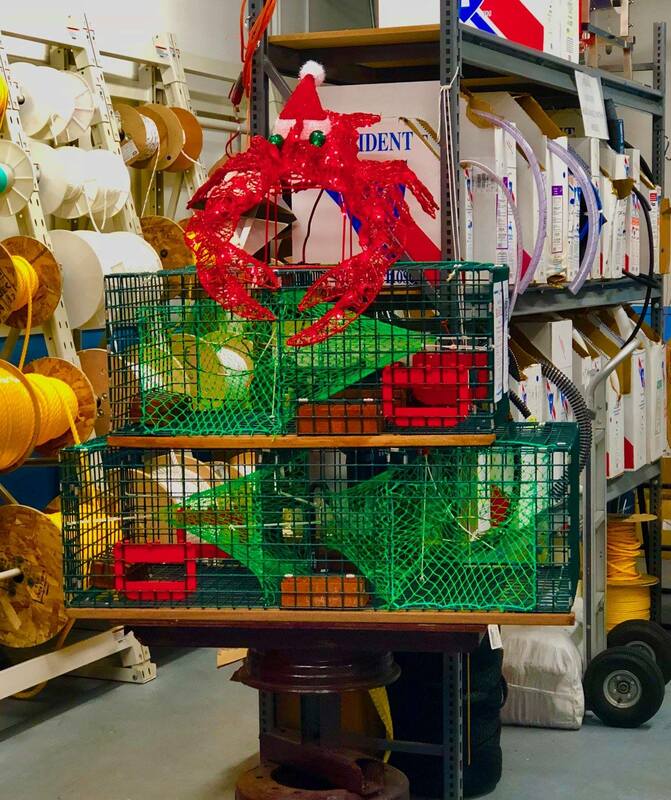 Shout out to Three Lantern Marine and Fishing for contributing the gorgeous (in holiday co-ordinated colors of red and green) brand new lobster traps. The lobster traps will be auctioned off after the holidays. Fabulous!! !🎄🎄🎄#gloucesterma “lobsterpottree #christmas #bestreeintheworld @capeannarthaven David Brooks and crew have outdone themselves! Brand new traps donated by Three Lanterns.